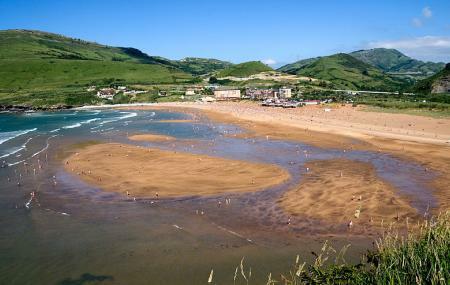 Located between the Muskiz and Zierbena, Playa De La Arena is a kilometres long beach that is considered to be one of the most extensive arsenals of the coast of Biscay. Here the beach and the mountains coexist giving you a chance to enjoy the beautiful sea from high above the cliffs. With dunes and marshes, dense forests and many more beautiful landscapes, a visit to this place is a must while visiting Spain. This beach is located at the mouth of the Barbadún River and gives its visitors a chance to enjoy some water sports activities like surfing, volleyball and canoeing. Blessed with an excellent public transport, this beach is easy to access. To personalise your visit to the city, you can use an all-inclusive Bilbao trip planner for the same that will give detailed information about visiting the city. Add comfortable hotels to your plan, choose from the recommended hotels in Bilbao like Nh Bilbao Deusto, Hotel Conde Duque Bilbao and Petit Palace Arana Bilbao. Create your own Bilbao vacation packages or choose from the ones made by travel experts. Also explore the best ways for how to reach Bilbao. How popular is Playa De La Arena? People normally club together Playa De Sonabia and Botanical Garden while planning their visit to Playa De La Arena. Una playa muy limpia muy bonita cuándo está la marea baja muy espaciosa en cuando está alta te quedas con muy poquito espacio.